1. 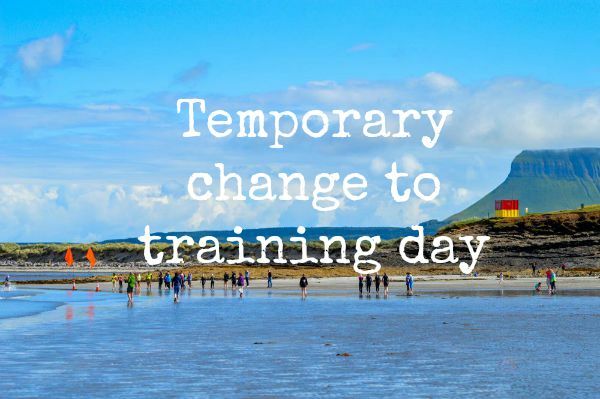 Due to Leaving Cert results this Wednesday a number of our coaches are unavailable for nipper training, therefore Nipper training is rescheduled to Monday 10th August @ 7.00 pm. Sorry for any inconvenience caused. The best of luck to our Coaches. Junior training will continue on Wednesday evening at 7:15pm as usual. 2. The regional competition for nippers will take place on Saturday 22nd August @ 9.00 am in Rossnowlagh, Co. Donegal. Entries need to be submitted by 6.00 pm on Sunday 9th August, please email us on sligosurflifesaving@gmail.com asap confirming if your child(ren) are competing. Entry fee for competition is already covered in your registration fee. All competitors are strictly required to be registered as competitor members of Irish Water Safety before the day of competition. Should you fail to register you will not be allowed to compete on the day. Please follow this link to register, cost of IWS membership is also covered in original fee. 3. As per previous emails, Irish Water Safety have recently advised of a new compulsory requirement for all competitors to wear competition rash vest while competing. Rash vests will be ordered for all competitors through the club directly from IWS. There is an additional fee of €15 for the rash vest, details for ordering to follow. 4. Please note if your child qualifies in the regional competition the National Competition will be held in Tramore, Co. Waterford on Saturday 5th September, 2015.